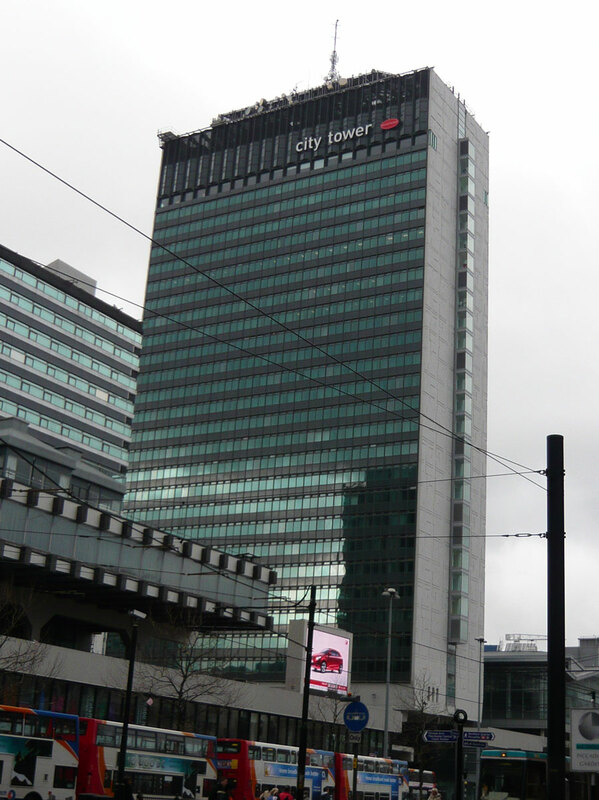 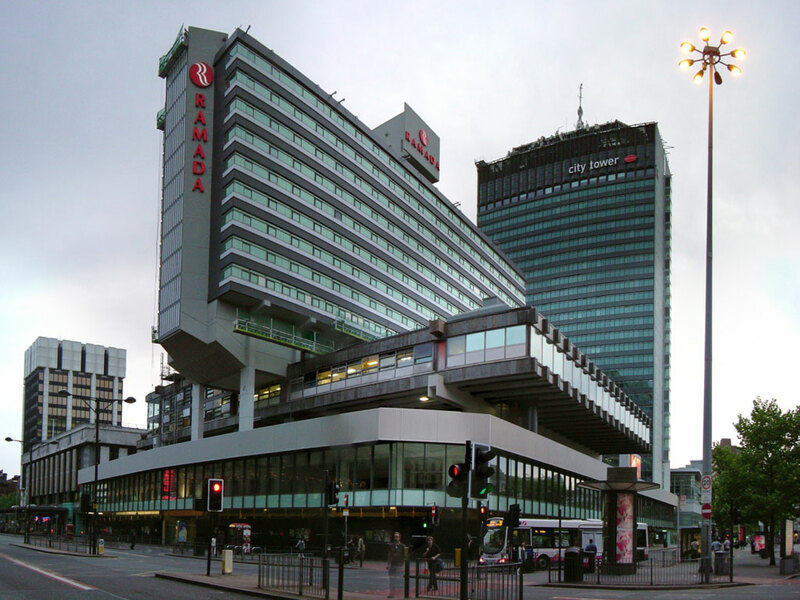 City Tower (formerly the Sunley Building) is a 30-storey skyscraper situated in the Piccadilly Gardens area of Manchester. 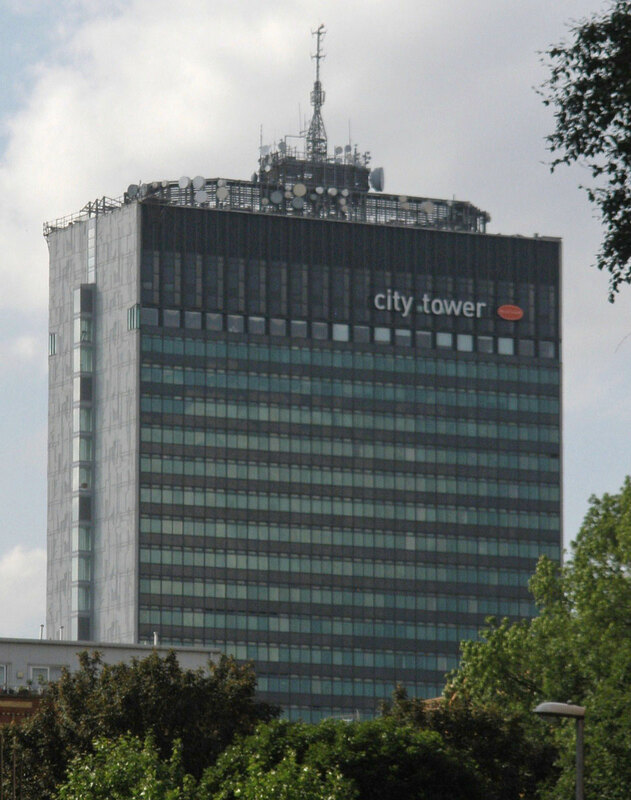 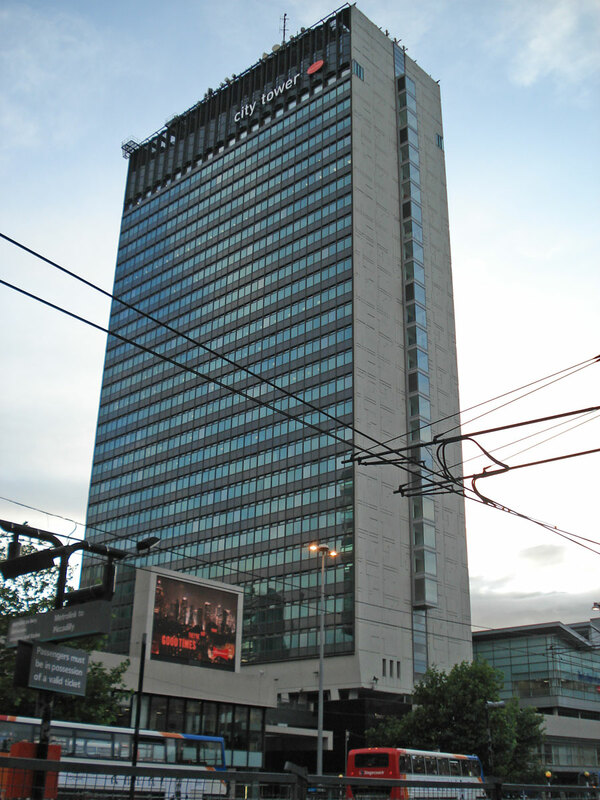 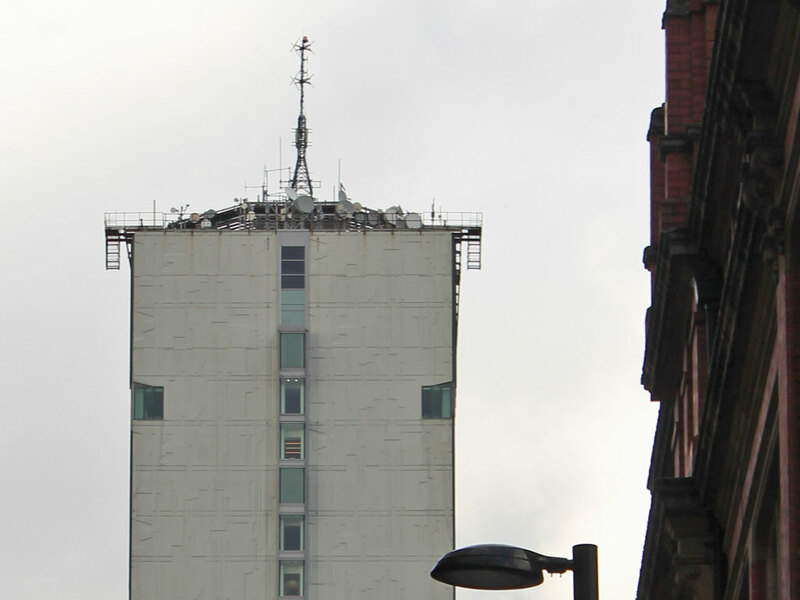 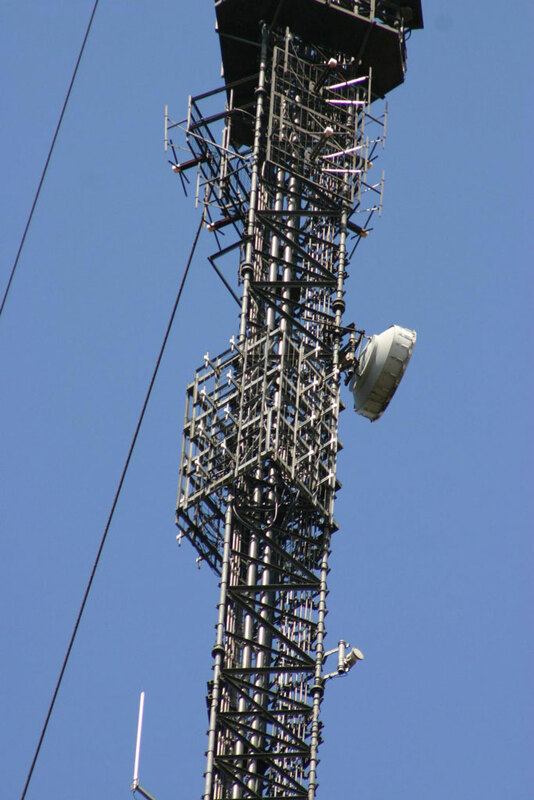 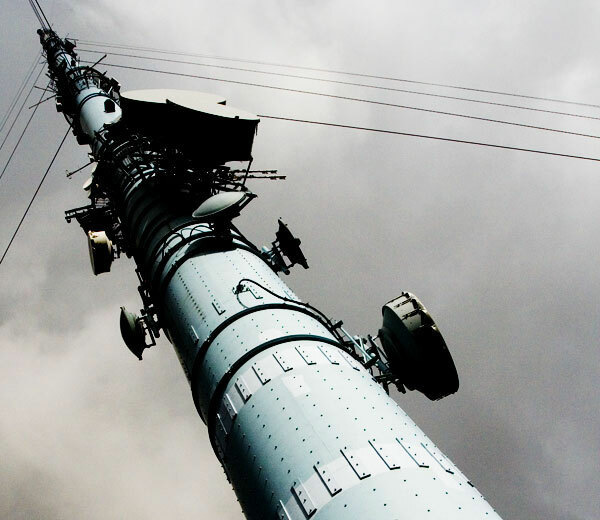 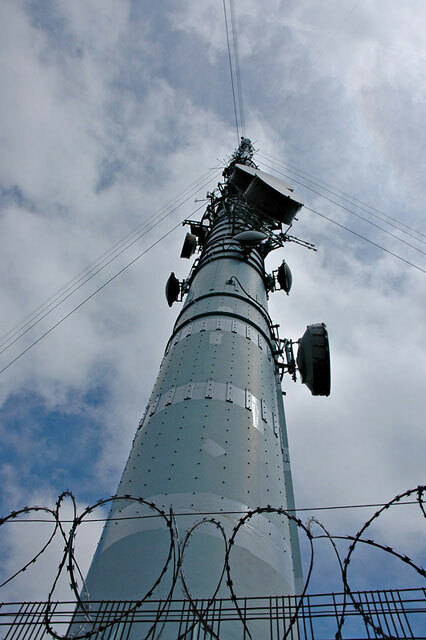 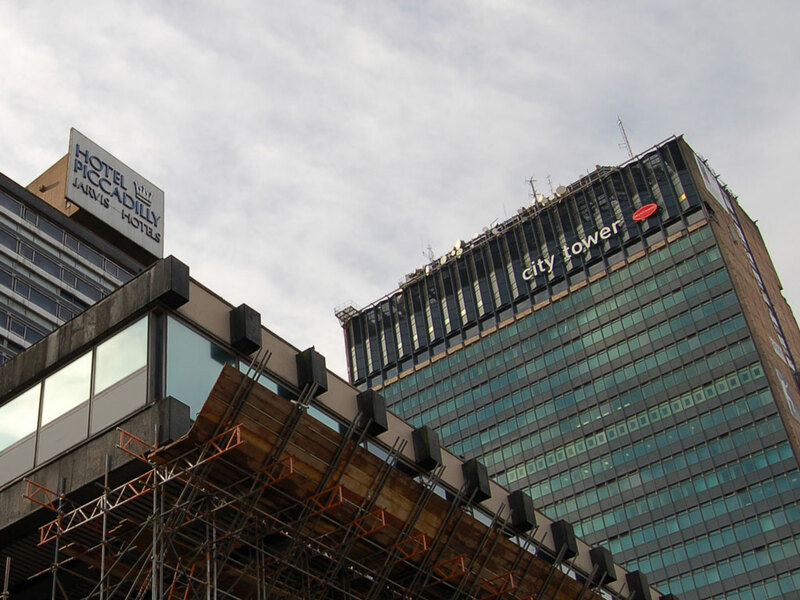 The Tower is one of Manchester's main broadcast transmission sites, hosting the antennae of local FM radio stations Radio X, Capital FM, Real Radio XS on FM and Digital Audio Broadcasting multiplexes for Manchester. 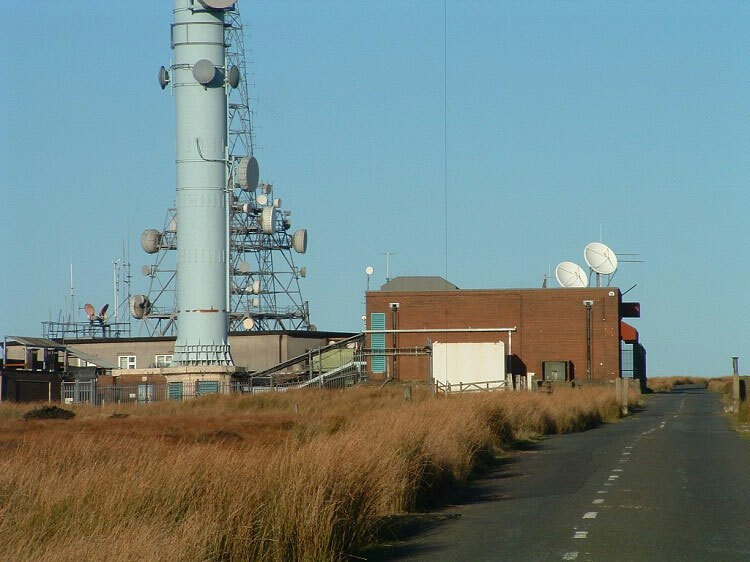 Holme Moss transmitting station is a broadcasting and telecommunications facility located in in the south Pennines of England, on the border between the High Peak District of Derbyshire and the West Yorkshire district of Kirklees. 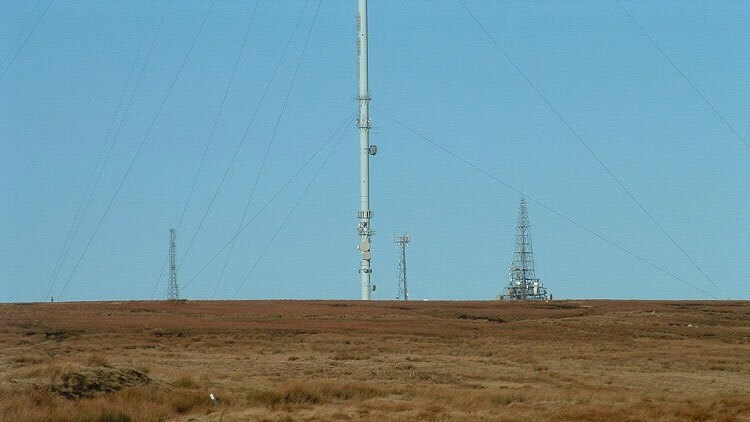 The base of the station is 524 metres (1719 ft) above sea level and the mast another 228.6 metress (750 ft) on top of that. 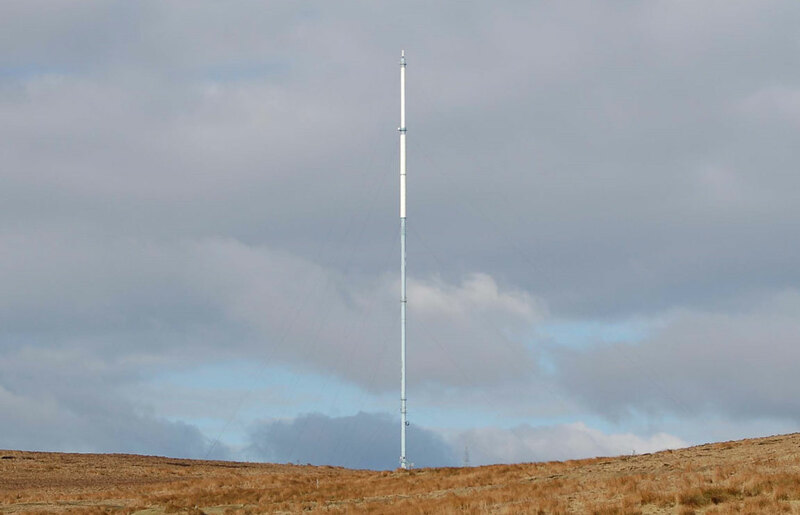 This gives a maximum aerial height of 752 m (2467 ft) which is one of the highest in the UK. 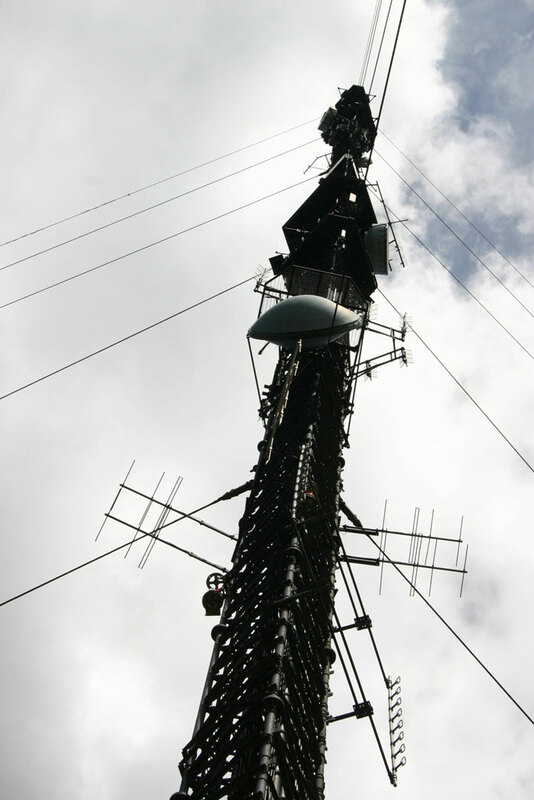 The mast weighs 140 tons and is held up by 5 sets of stay levels. 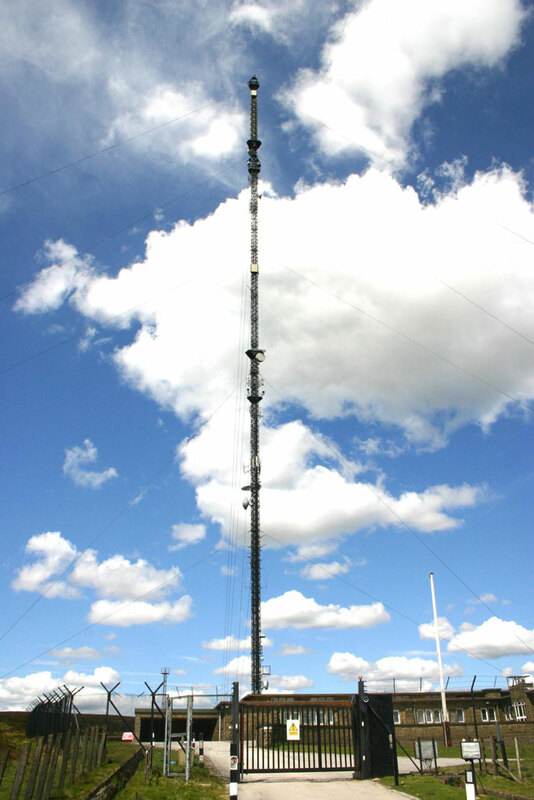 At 250 kW ERP on the national radio channels, it is one of the most powerful FM sites in the country. 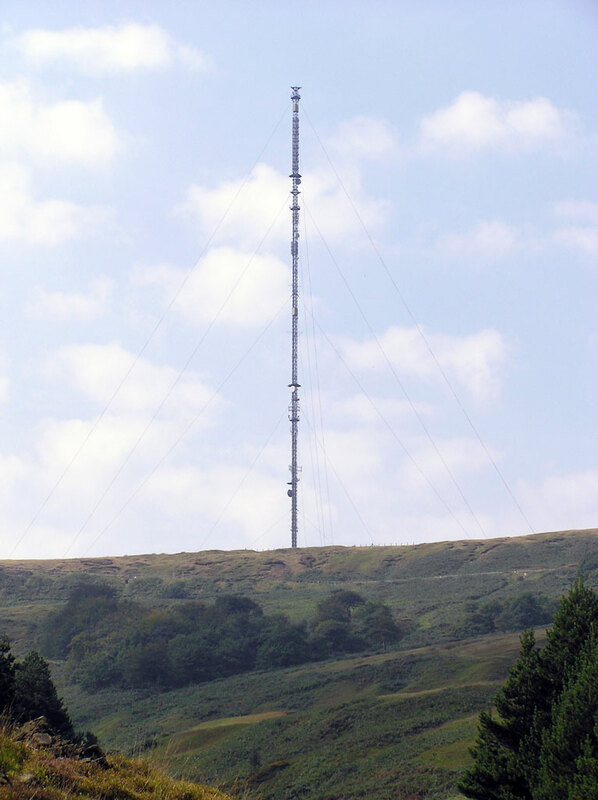 These transmissions cover North West England (mainly Greater Manchester and Cheshire) and most of Yorkshire, however signals can be heard as far South as London and as far North as Scotland. 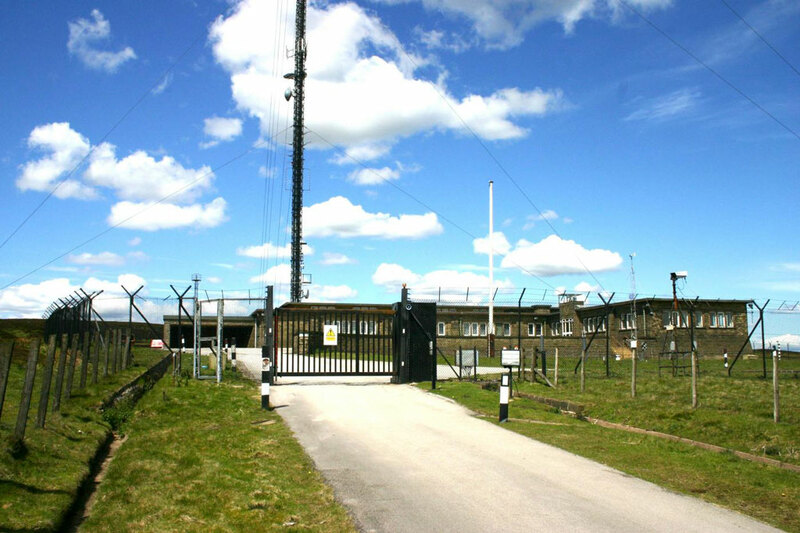 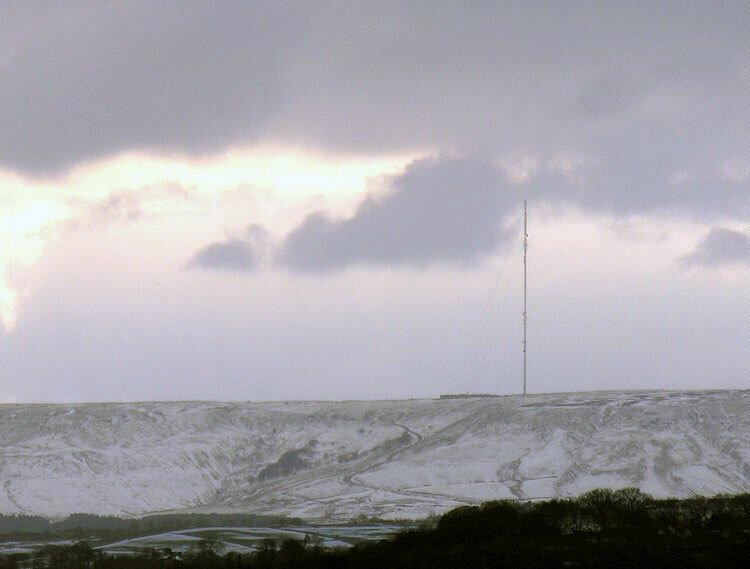 The Winter Hill transmitting station is a broadcasting and telecommunications site on Winter Hill, at the southern boundary of the Borough of Chorley, and above Bolton in Greater Manchester, England. 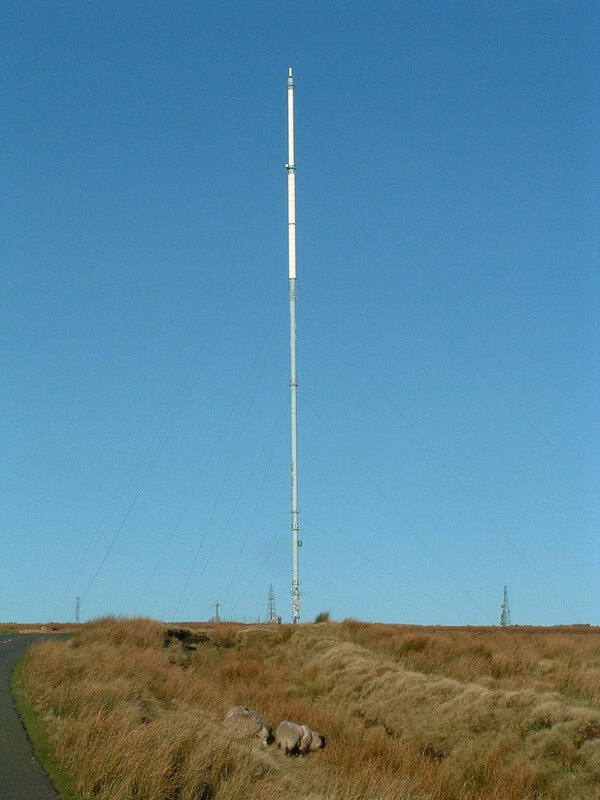 The main mast structure has a diameter of 2.75 metres (9 ft) and is 309.48 metres (1015 ft) tall, which makes it one of the tallest structures in the United Kingdom.